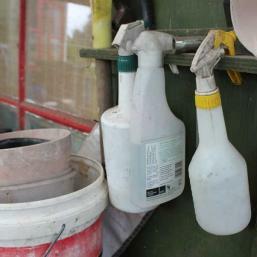 The ultimate gardening tools are our hands but they generally aren’t up to all the tasks that food growing requires of us. 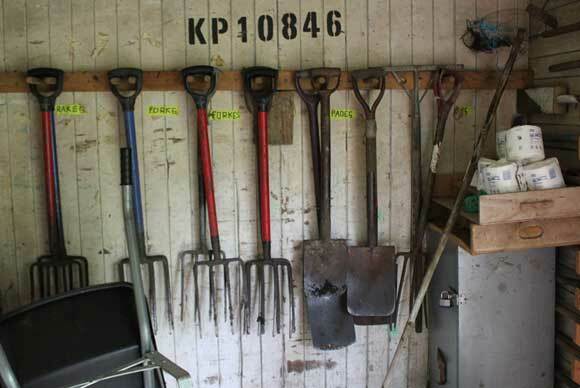 Digging, weeding, pruning, harvesting and keeping things in good order are all made much easier by a range of standard gardening tools. 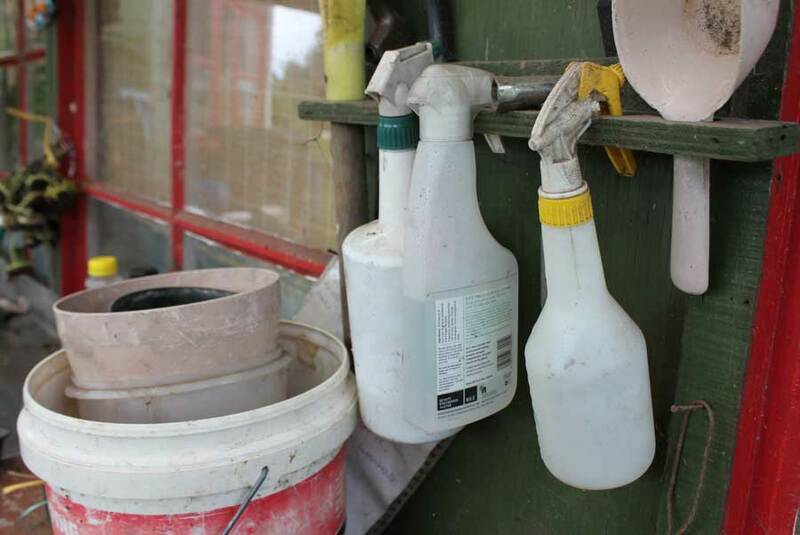 Over the years tools have been improved but they still perform many of the same tasks that have enabled generations of gardeners to grow productively. There is always a right tool for the job and it helps to have as good a selection as possible. 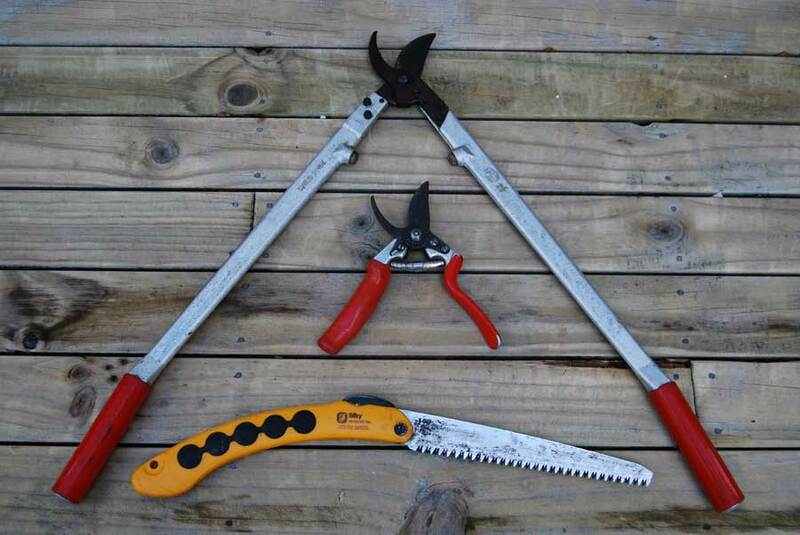 Here is a guide to the basic set of tools for the average gardener, how to use them and what they are used for. Some gardens require fewer and others more. 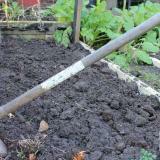 ‘tines’, easily penetrate the soil and then as the fork is levered upwards they moves through the soil, breaking it up. 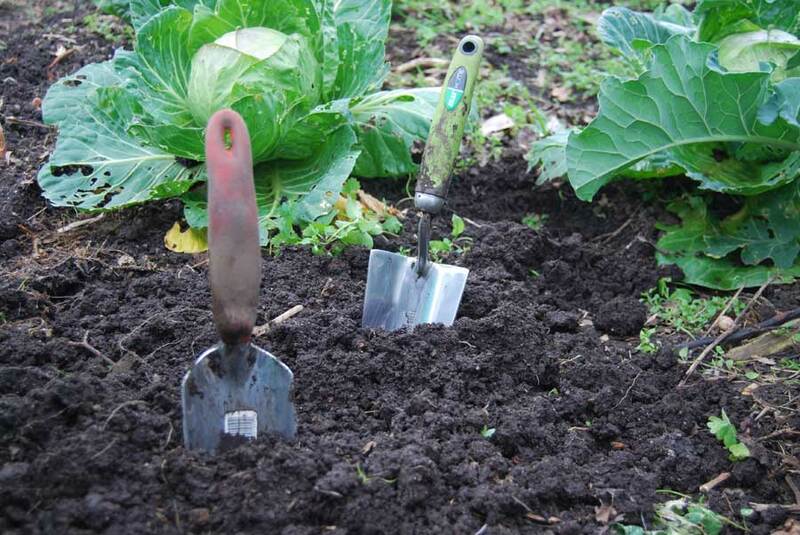 This makes a fork the ideal tool for loosening compacted soil as you cultivate new ground or when breaking up beds after harvest to revitalize soils with compost and manure. 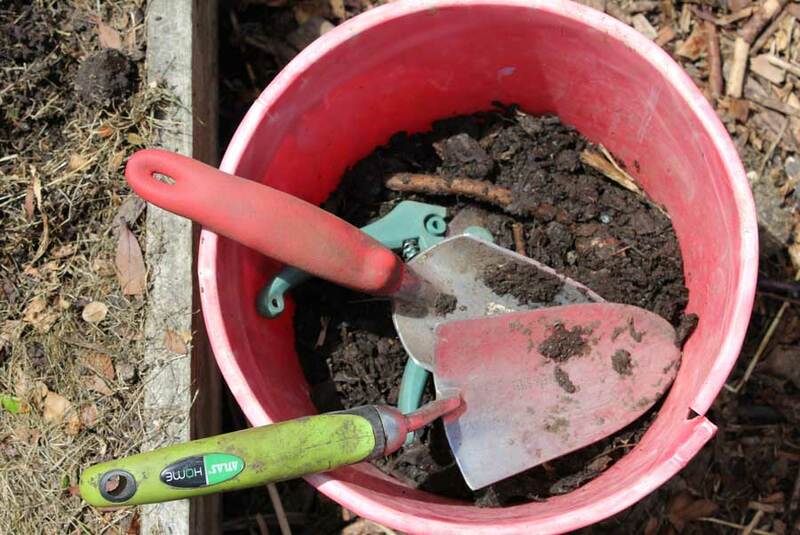 A digging fork should have a sturdy shaft and well-attached handle. 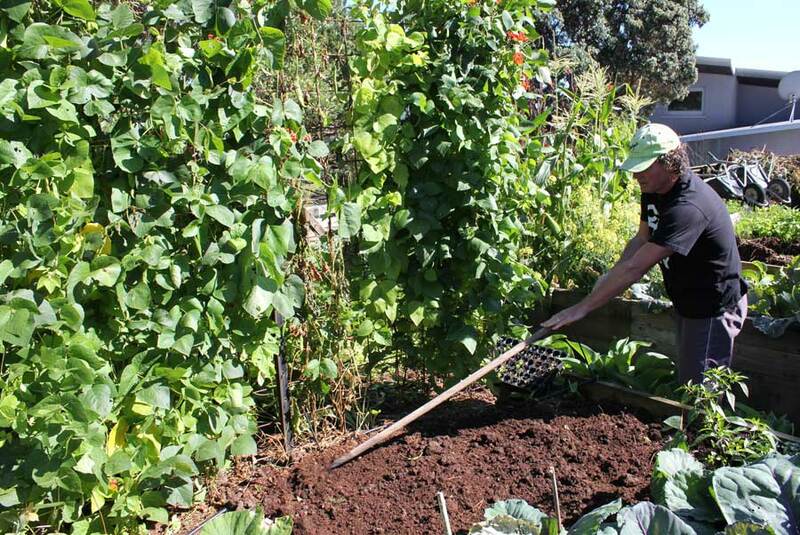 Ace for working larger areas, turning compost in your heap and very useful for harvesting potatoes, kumara, yams, Jerusalem artichokes and garlic. 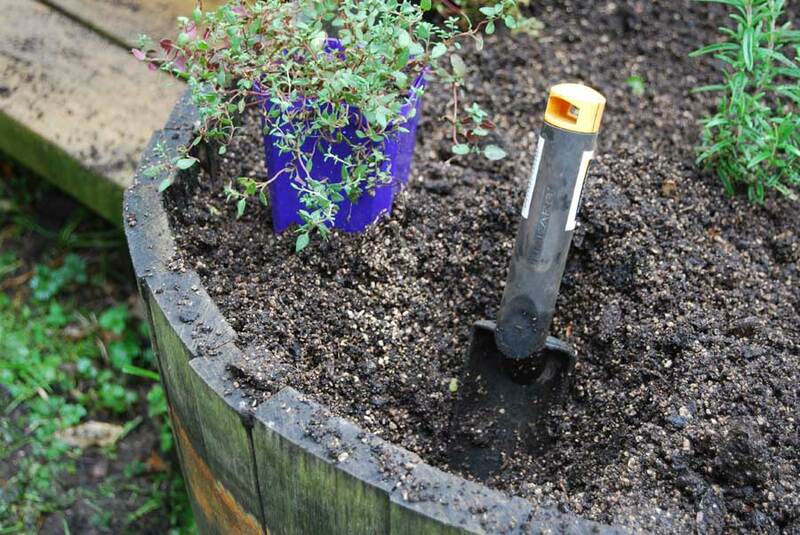 Border Fork: A smaller border fork is very handy when breaking up soil between rows of plants and in smaller areas. Good for turning compost into surface soil and general weeding. 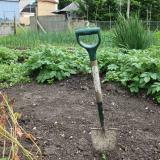 Border forks are lighter than larger digging forks and so they can be useful for cultivating small areas – say towards the back of a crowded bed where you have to stretch to reach them. Garden Rake: A rake has a wide head with small metal teeth and a long sturdy handle. 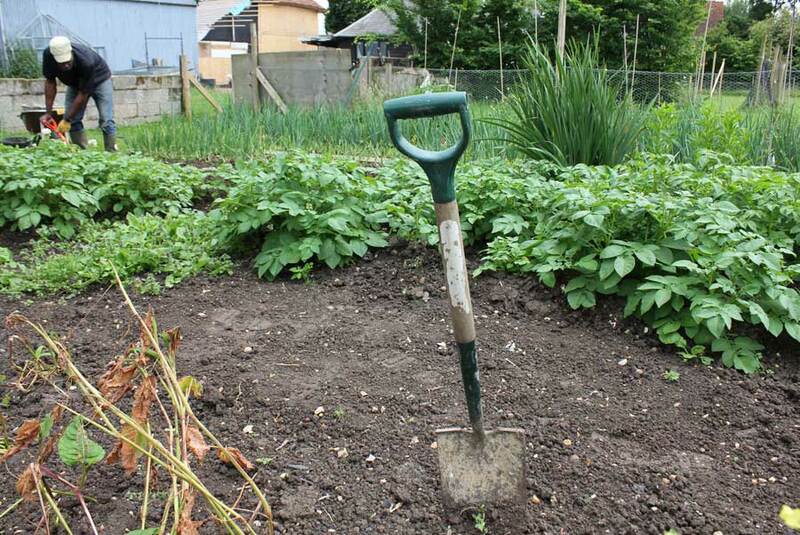 Rakes are useful tools for breaking up surface lumps of soil in a bed after it has been cultivated with a fork. 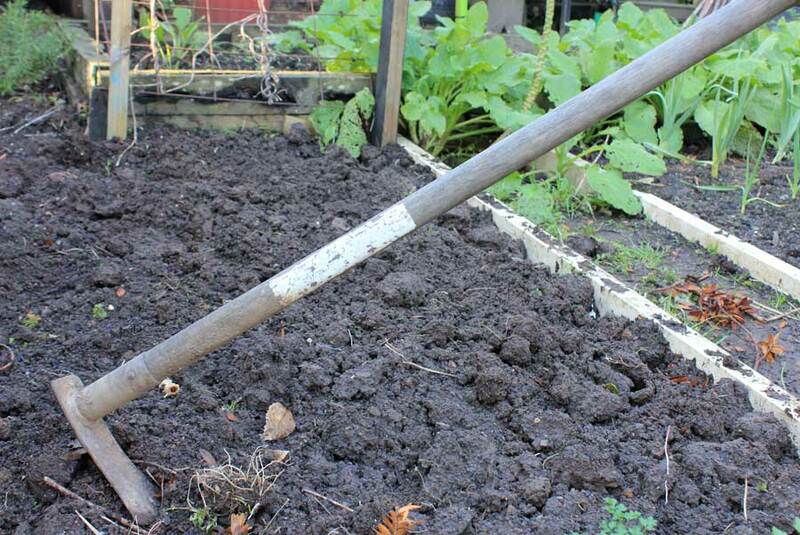 The row of small teeth can quickly break large lumps into an even ‘tilth’ (soil with small even particles – good for growing in) and this helps when leveling beds before sowing seed. Choose a rake with a strong metal head that is about two hands’ lengths wide and has around 12 to 14 ‘teeth’. A compact head with strong tines will serve you better than a wider head with smaller tines that effectively puts greater load on your back. 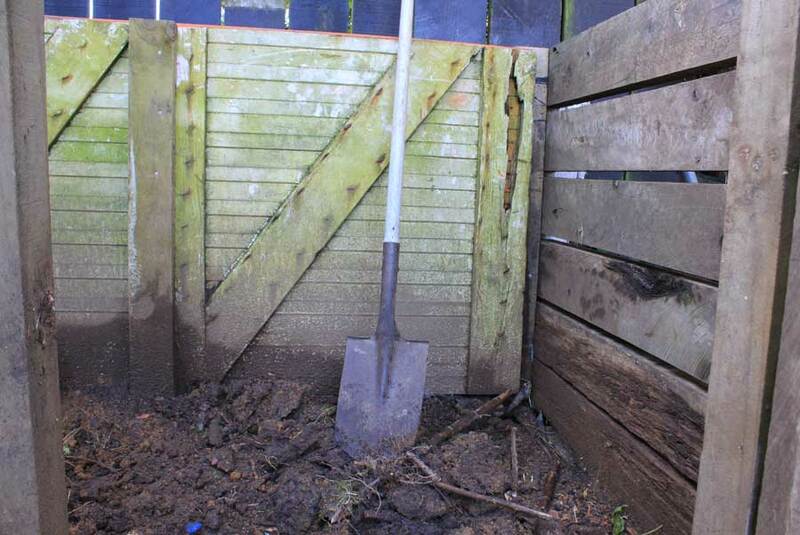 Garden rakes work best on soil that is not water-logged – if its too muddy then the teeth will become quickly clogged so try to work your beds when soil is reasonably dry. 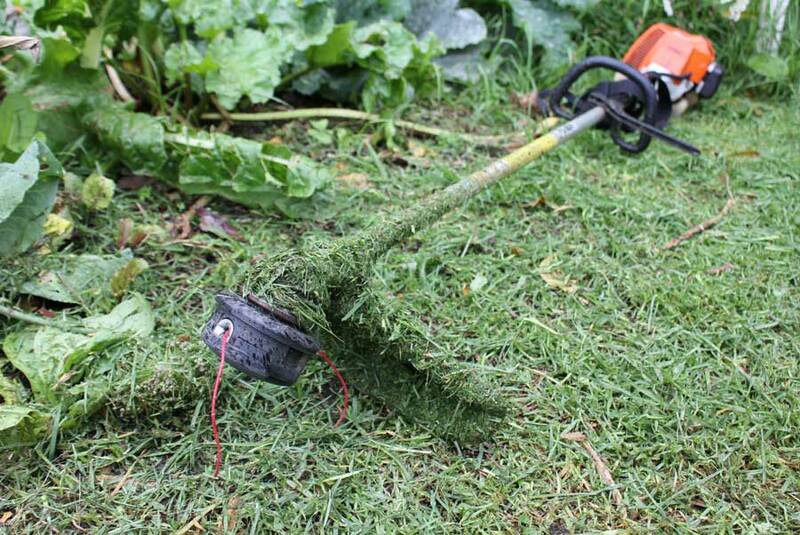 Leaf/Lawn Rake: Ideally this should be a strong but very lightweight tool. A Leaf or lawn rake has a wide, spreading head with many thin tines that can lightly draw leaves and lawn clipping into removable piles without damaging the surfaces they are laying on. 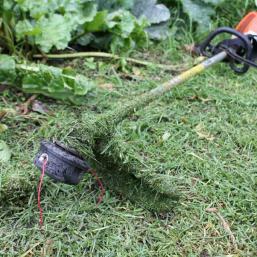 Hoe: The nimble tool for weeding beds, small unplanted areas and spaces between established plants. A hoe has a long handle – like a rake – with a flat, narrow blade at the end of it. The hoe is used with the blade held horizontally. 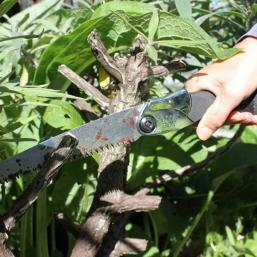 When it is pushed just below the soil’s surface, this narrow blade slices through the roots of seedling weeds. 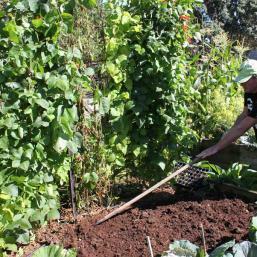 To use, simply push the hoe way from you with the blade beneath the soil’s surface. As you draw the hoe forwards and back towards you it uproots seedlings. 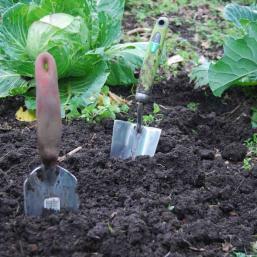 As well as being a great weeding tool, a hoe is useful for improving drainage and airflow as it opens up the top layer of soil, that can often get compacted after rainfall, at the same time as it weeds. 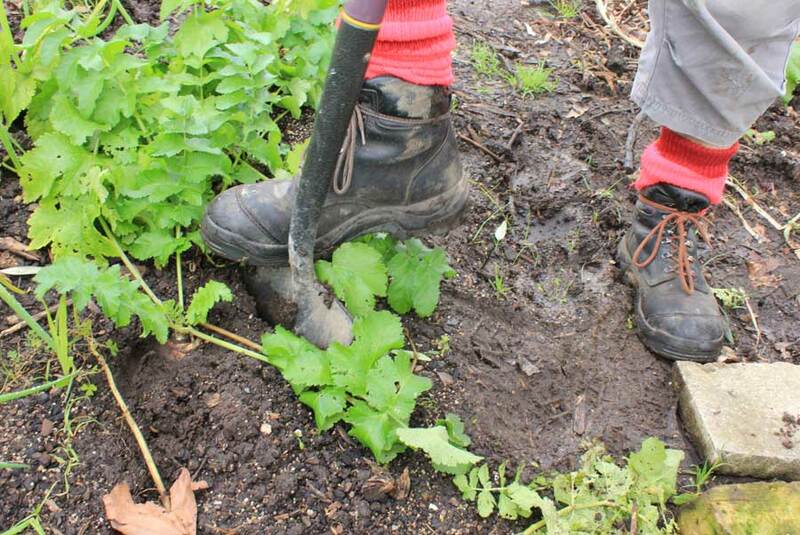 Thanks to its long handle, a hoe means you can reach a fairly wide area from one stationary position and improve soil without treading on plants and compacting surrounding soil with foot prints. 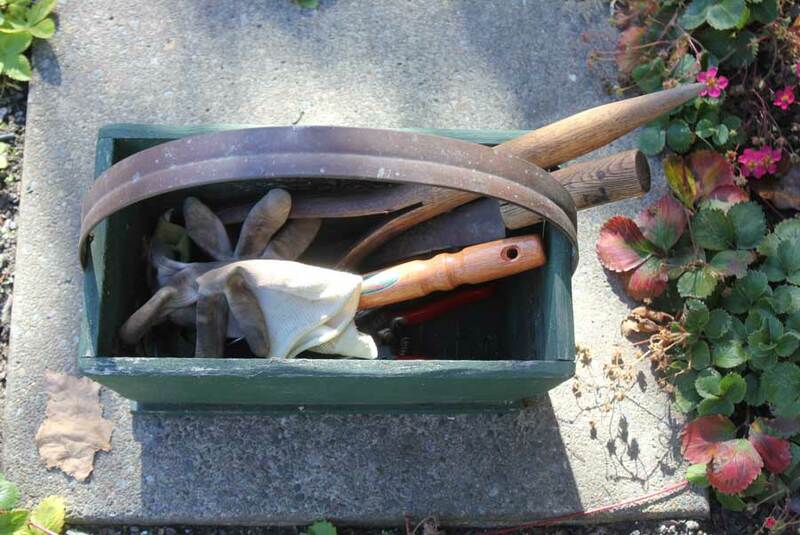 Hand hoes are short handled,lightweight tools that are very useful for weeding in between established plants and in areas where there are roots close to the surface of the soil that you’d rather not disturb. They are particularly good in raised beds where most areas are within an arm’s length of the edges. 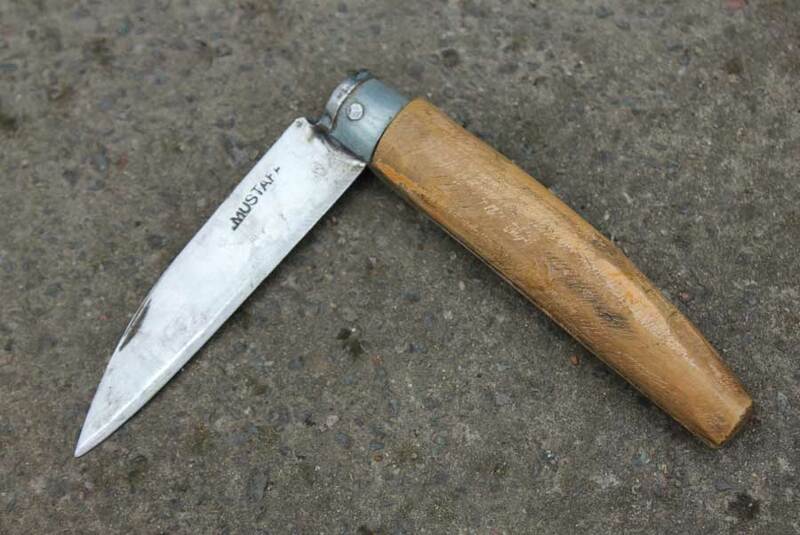 The knife-like blade can easily be dragged just beneath the surface of the soil – severing roots of weeds. 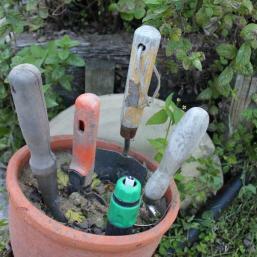 Hand hoes can also be used for digging shallow holes when planting seedling plants. 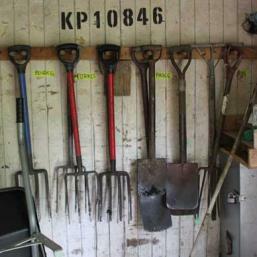 There is a range of different shapes available when it comes to hand hoes so try a few before you take your pick. 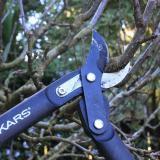 Secateurs are a hand tool about the same size as a pair of pliers or craft scissors with two strong, sharp cutting blades. 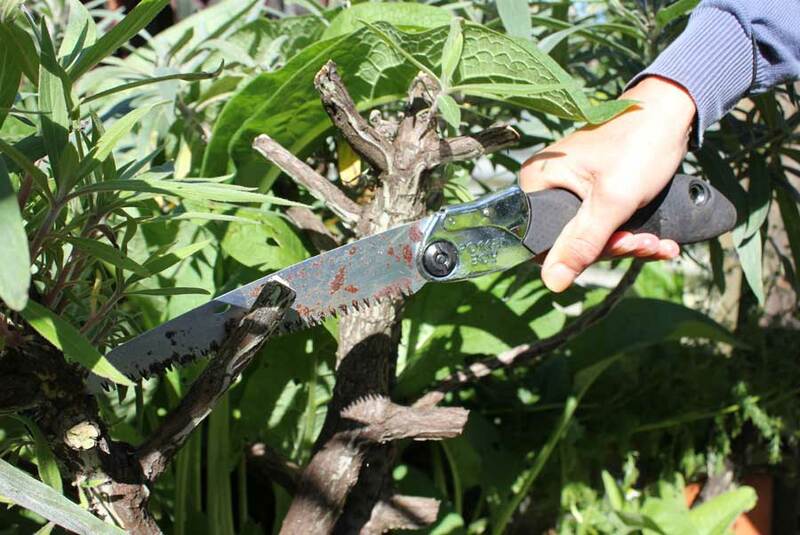 Used most commonly for pruning woody stems on a whole range of plants from grapevines and roses to fruit trees or harvesting citrus fruit and plants like pumpkins that have fibrous stems. 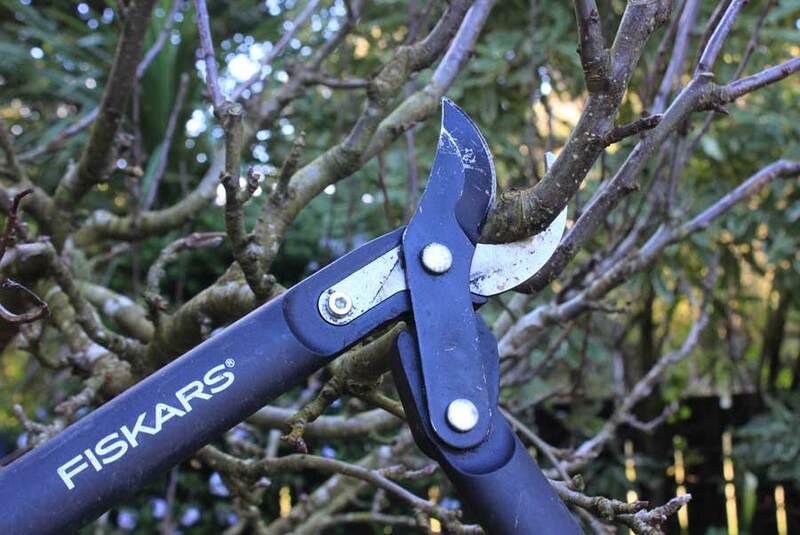 Secateurs are also an invaluable tool to have on hand when adding plant material to the compost heap, the are perfect for chopping up stems into a convenient, compostable size. 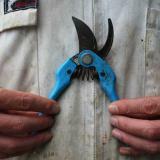 A good pair of secateurs can cut through a wide variety of plant stems up to about a finger’s thickness. 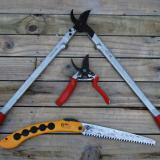 Any thing larger and you’ll probably need a pair of loppers. 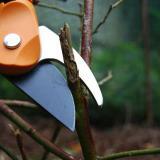 Loppers are strong cutting tools used for cutting stems and small branches on trees and shrubs. Long handles allow considerable leverage to be exerted on the thick blade and also make it easier to reach branches above your head. 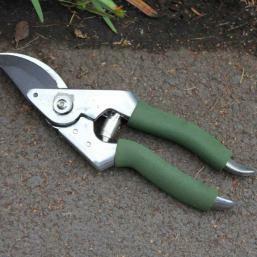 Shears are like a large pair of scissors with two long, sharp crossing blades that are very useful for trimming hedges into neat lines and flat faces and clipping shrubs into topiary shapes. Shears need to be kept sharp for them to be of continued use. 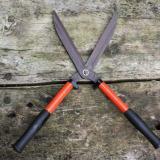 A good pair of shears should be strong but lightweight to make using them comfortable. 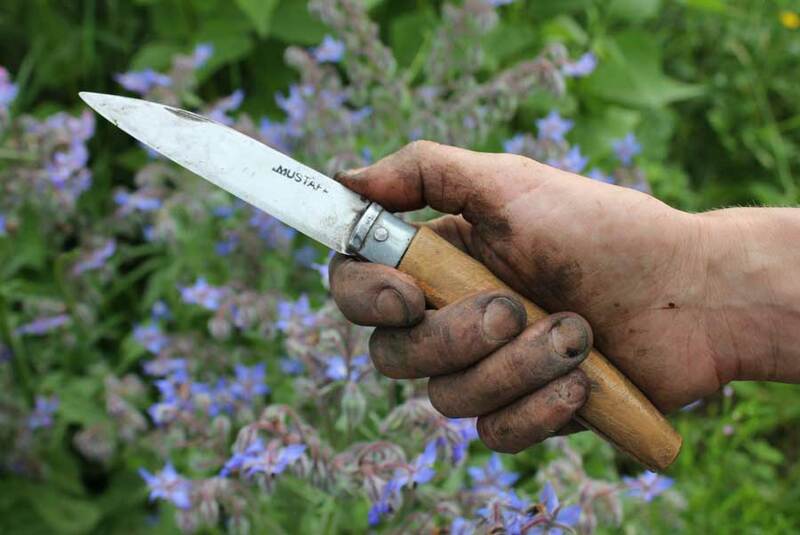 A good garden knife is something to have in your pocket at all times. 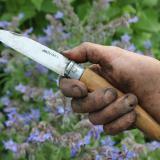 Useful for cutting string, pruning plants and taking cuttings a garden knife can also be very handy for harvesting fruit, vegetables and herbs as well as picking flowers. Choose one with a comfortable handle and treat yourself to something that you’ll want to look after and have with you for a long time. 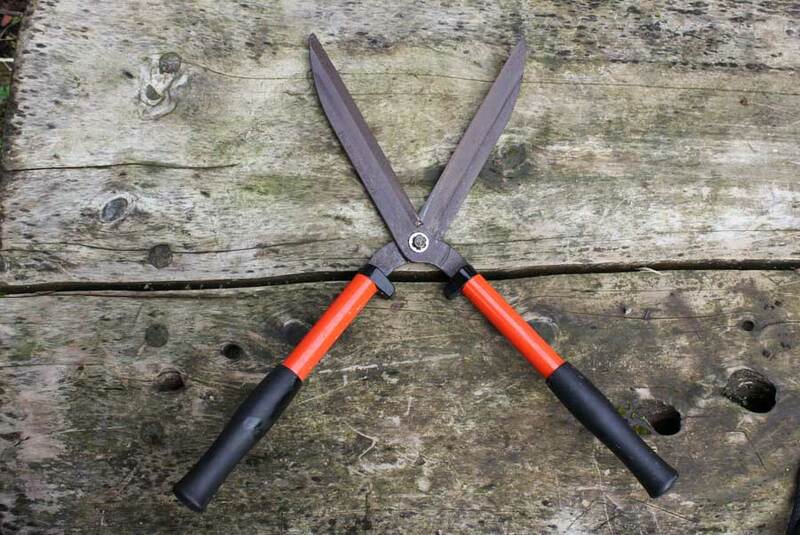 There are some fairly thick-bladed tools available – a bit like a cross between a trowel and a knife - and these can be used for digging up weeds like dandelions and docks as well as planting and harvesting. Pruning saw A small tool with a fairly mean-looking blade. 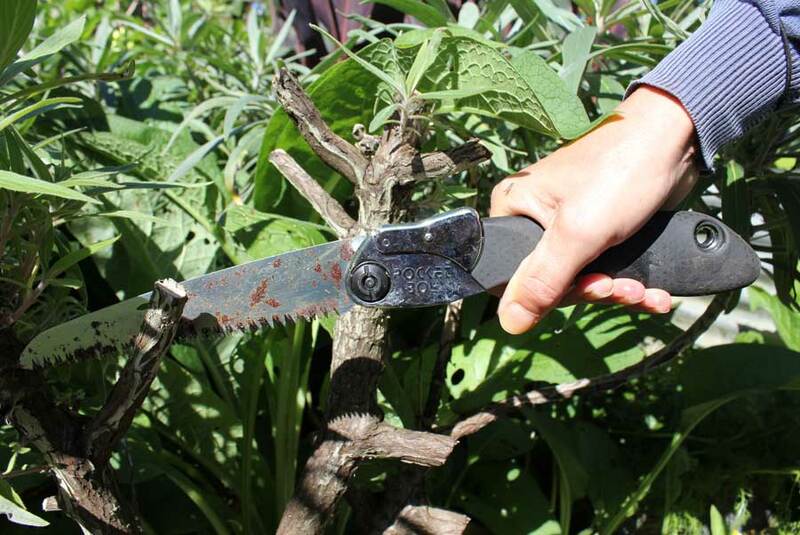 A bit like a giant pocket-knife, a pruning saw has a blade that folds safely inside its handle - the blade can easily be popped out and locked into place ready for use. 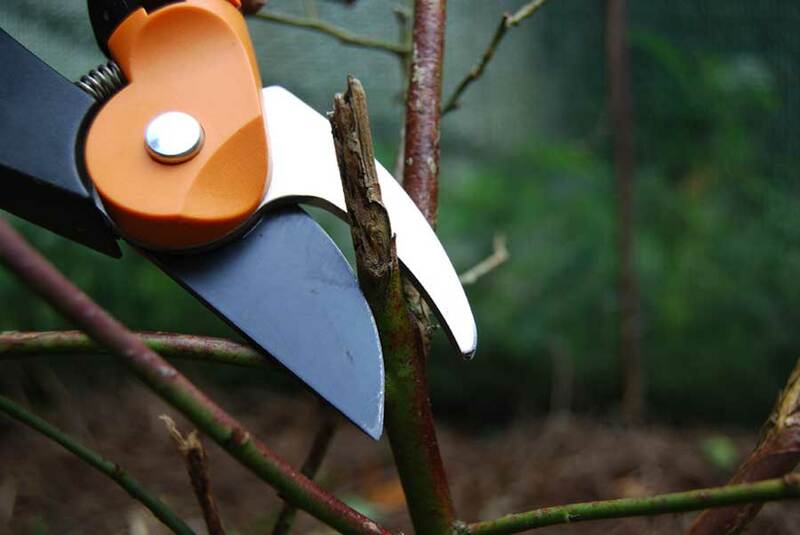 Its deep serrations along the cutting edge give the blade a saw-like efficiency and see it able to take on small branches in next-to-no time. 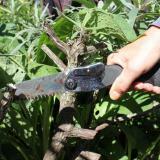 Pruning saws should be handled with great care as they make a mean cut with the slightest of effort. 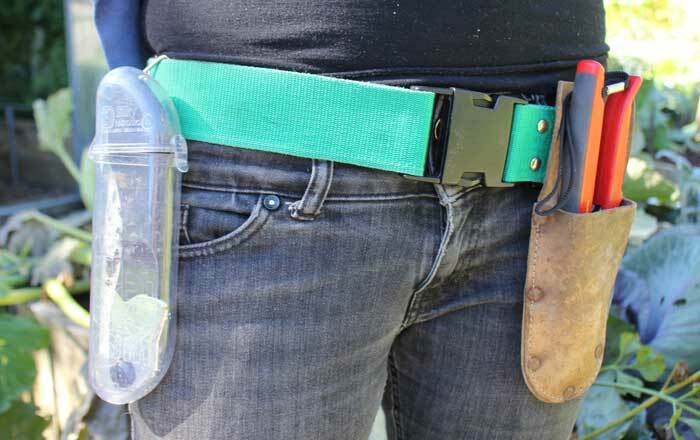 Usually too big for a pocket, they are often kept in a sheath that can be threaded onto your belt. 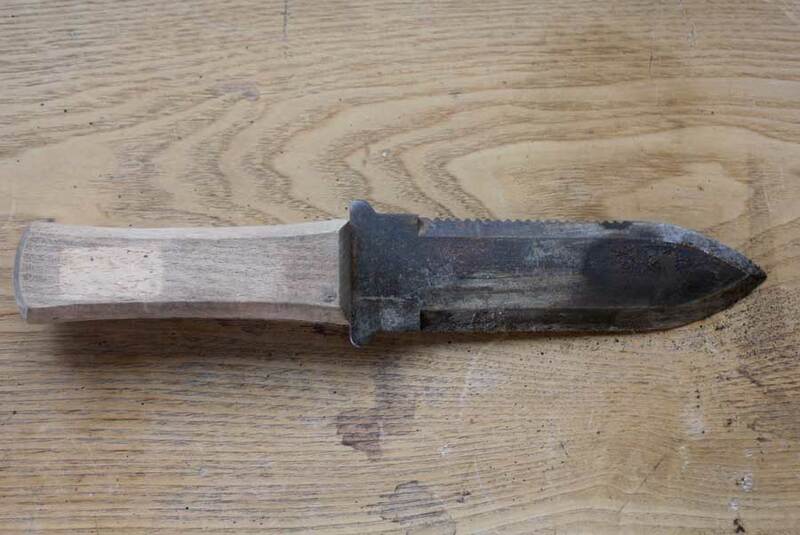 Blades can easily be replaced when they become blunt of get damaged. 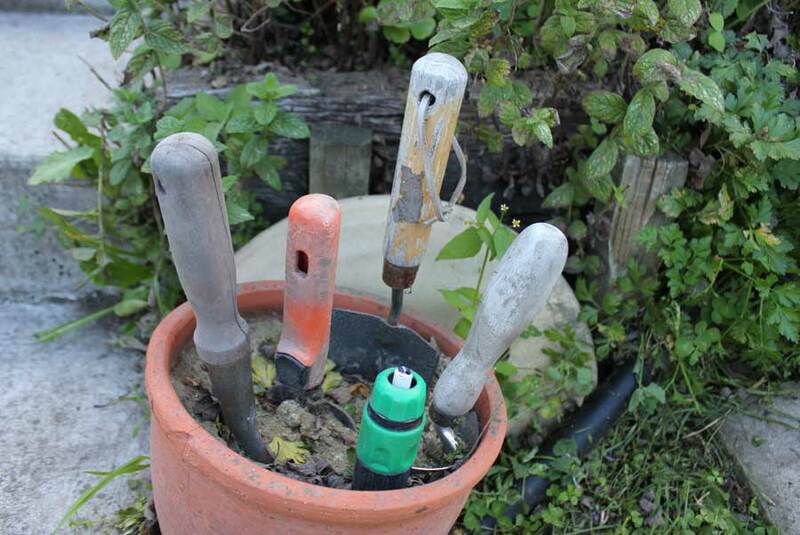 For gardeners there are basically two types of spade that are both very handy. Digging Spade These are the standard larger size spade with a blade that is a bit wider than the average spread hand and a strong shaft and handle. 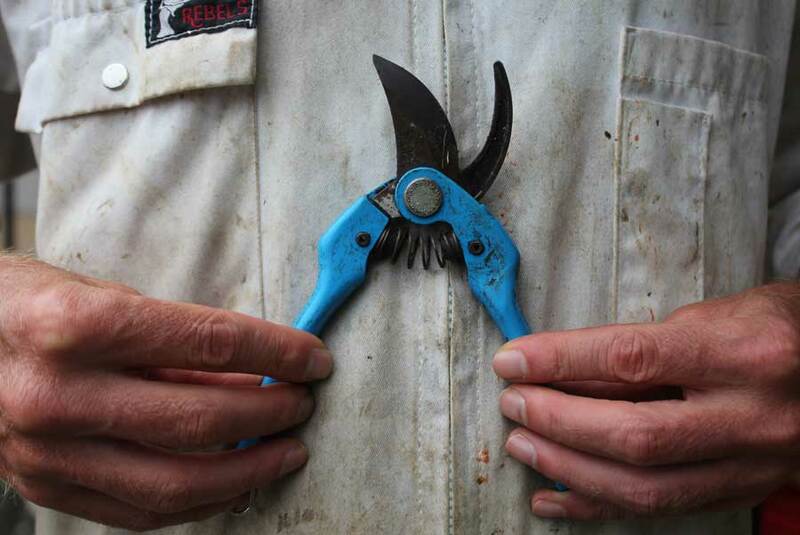 These are hard-working tools built to take the strain of breaking up large areas of soil, working in compost and digging planting holes for trees and shrubs. 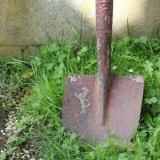 Border Spade A useful smaller spade with a blade that is typically a little narrower than the average spread hand. 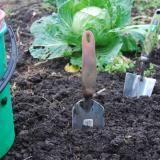 Border spades are very useful for light digging – in raised beds and smaller gardens with soil that has already been worked. 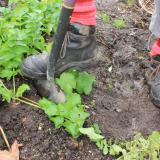 More suited to planting large seedlings such as rhubarb, globe artichokes and tubers like potatoes. 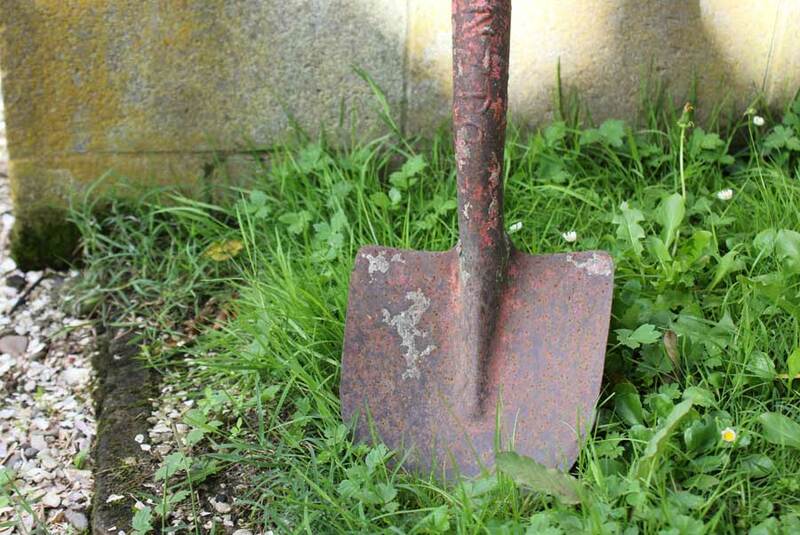 A border spade is useful for lighter digging tasks and, because it dislodges slightly less soil with its blade it is less likely to put a strain on the back. Shovels come in two shapes and sizes. For moving heavier materials like sand, pebbles or gravel a long handled shovel with a small spade-like head is often used. 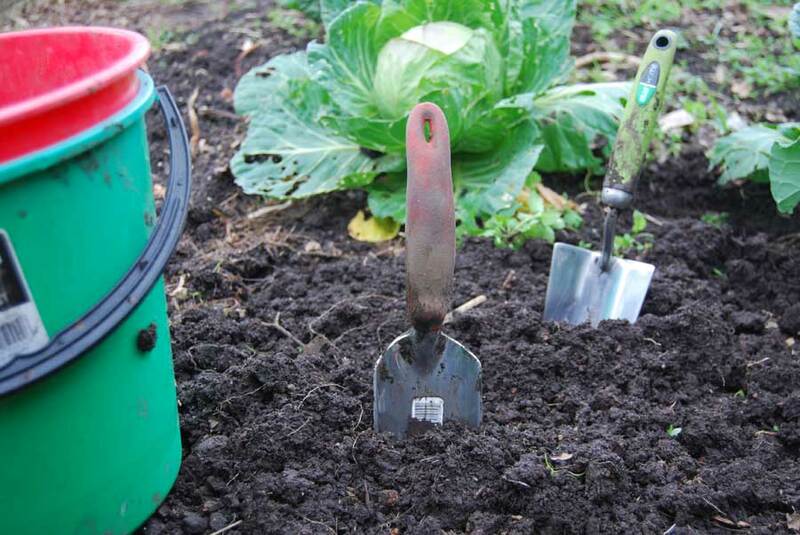 To move lighter materials like compost, manure, straw, leaf litter and fine mulch a shovel with a standard, short spade handle and a square, flat, lightweight head is used. 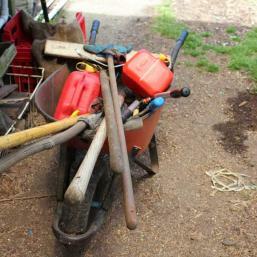 Both of these tools are very useful for moving piles of material in the garden. The long handled shovel makes it relatively easy to bend at the knees and save putting strain on the back, its smaller head regulates the amount that can be lifted in any one movement. The blade often has a slight point to it which makes it easier to push into piles of irregular materials like pebbles, scoria drainage material, crushed shell and chipped bark mulch. This slightly pointed blade also means that the long handled shovel can be used for digging holes – useful for planting trees and shrubs as well as making deeper holes for fence posts. The shorter, square-ended shovel has a grip handle like a standard fork or spade and this means it can be pushed into piles of loose material, its large wide head enables a lot to be lifted in any one movement. 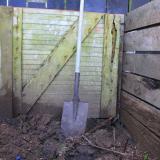 The short shovel is particularly useful for cleaning out bedding in chicken coops and animal enclosures. 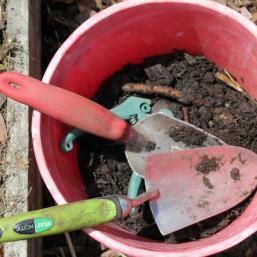 It is not that effective as a digging tool unless soil is very light and sandy. A trowel is effectively a hand-sized spade for digging small holes and planting seedlings, bulbs, tubers and small plants. 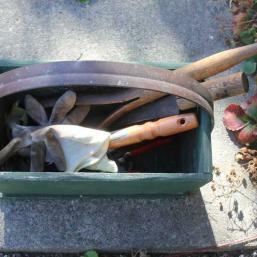 Trowels are very useful for gardeners with small to medium-sized beds or container gardens. Your tool should be lightweight, sturdy and comfortable to hold. 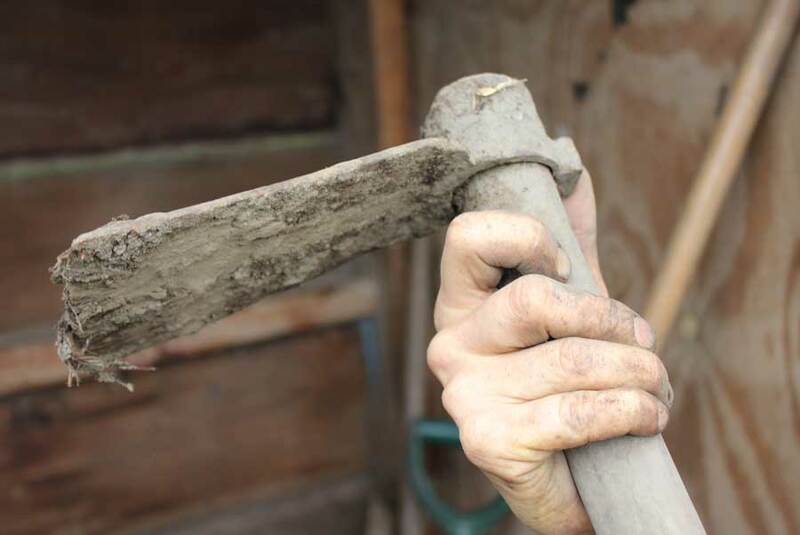 Make sure the handle connects strongly to the actual trowel head – or blade - as this can come under considerable strain when the tool is in use. Cheap trowels will often bend or break at this potential weak point. A trowel is best used in soil that has been previously broken up and cultivated with larger tools such as a spade or a fork. 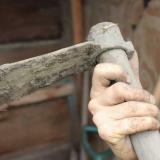 Trowels enable us to work in small areas and only remove about a large handful of soil per scoop. 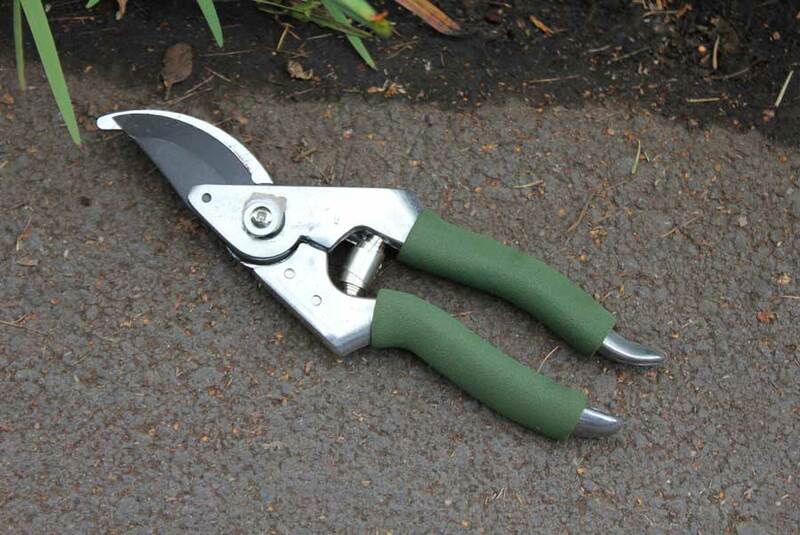 This makes them a great tool for adding new plantings to beds that already contain established and maturing plants where you don’t want to disturb too much soil. 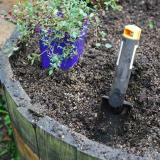 Trowels are short and manouverable so there is less chance you’ll damage taller plants in the area you are digging in. To seriously break into hard ground the tool of choice is usually a grubber. 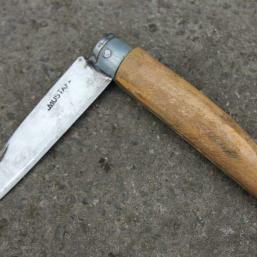 Grubbers are fairly indelicate tools with a long straight, usually quite thick, handle like on a pick-axe. The grubber head itself is like a flattened blade that is driven down into the soil before being levered to break up heavy or compacted soil. Grubbers come as a fairly heavy-duty tool with a thick, heavy blade but you can also get slightly lighter versions too. The heavy duty grubber is definitely useful when making a new bed in compacted soil – like you’d find under the grass of a lawn that is being dug up and turned over to a more productive purpose. 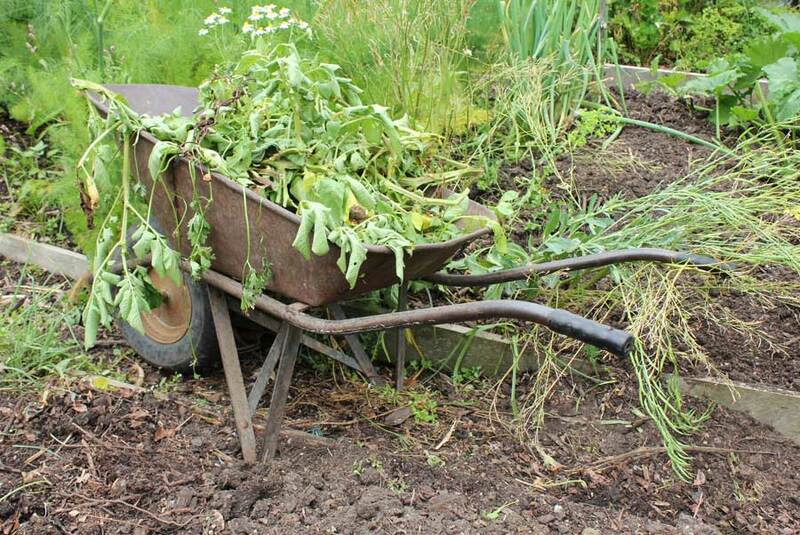 Lightweight grubbers are often used as cultivators and weeders in existing beds where soil is looser and just needs the odd ‘going over’. 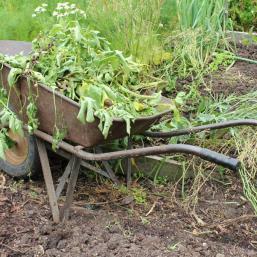 A wheelbarrow is an invaluable work-horse in many a garden. 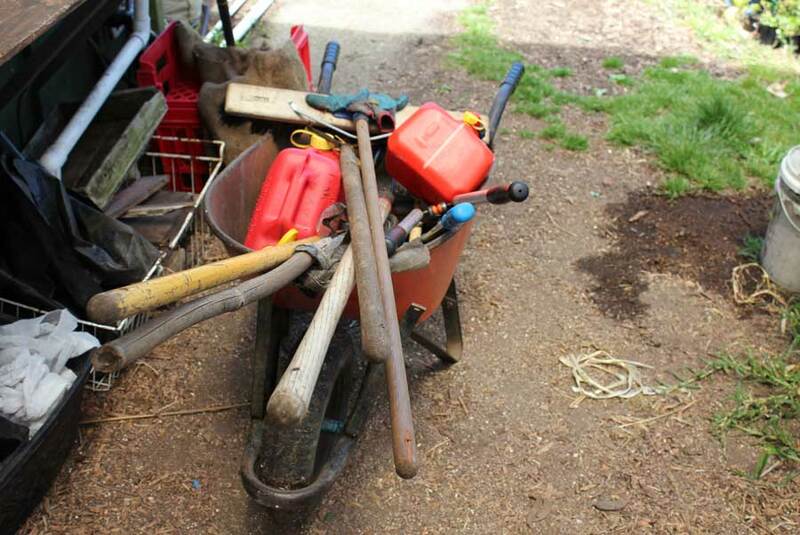 As long as you don’t have too many steps and different levels to climb, using a wheelbarrow can get large amounts of lots of things from A to B fairly quickly. 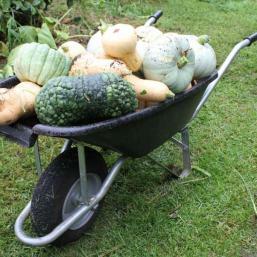 Wheelbarrows are brilliant for shifting piles of compost, mulch, soil, leaves, straw and even the odd bumper harvest. Use your barrow as a filling station when you are cleaning out the chook house or clearing a bed of spent foliage and plant stems, load it up and then transfer to the compost heap when you are done. 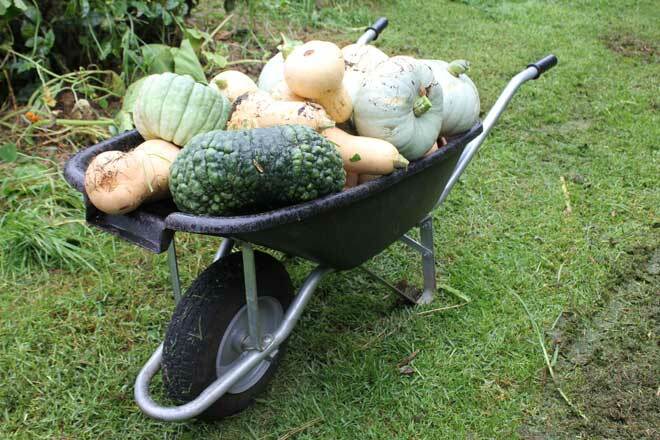 In a productive fruit and vegetable garden its likely that a wheelbarrow will come in for some fairly heavy-duty work from time to time so choose a solidly built model with a sturdy, galvanized steel frame. Avoid anything too light and nimble-looking, its likely to get trashed before it has earned the price you paid for it. 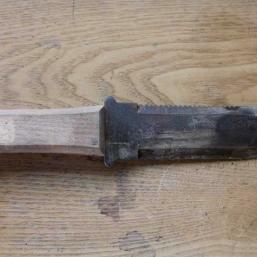 Likewise, avoid any cheap options, they have often been poorly galvanized and succumb to rust earlier than expected. Keeping the tyre pumped up makes for a smoother, more efficient ride every time.